Google’s new payments platform Android Pay, a rival to both Apple Pay and Samsung Pay, is starting to roll out, the company is announcing today. The system allows consumers to make purchases at point-of-sale using NFC technology, as well as pay for in-app purchases on Android devices. At launch, the payments technology will work at millions of locations around the U.S., including big-name brands like Best Buy, McDonald’s, Macy’s, Walgreens, Subway, Whole Foods, Toys R Us, and more. Google tells us it’s rolling out Android Pay gradually over the next few days, and will be seeking user feedback following its release. The platform will also roll out to more banks and stores in the next few months, beyond those announced today. Existing Google Wallet users will be able to access Android Pay by updating their previously installed Wallet app. For new users, Android Pay will be available for download on Google Play. It will also be pre-installed on NFC-enabled smartphones from AT&T, T-Mobile and Verizon. Android Pay was announced this spring at Mobile World Congress, then further detailed at Google’s annual I/O developer conference. 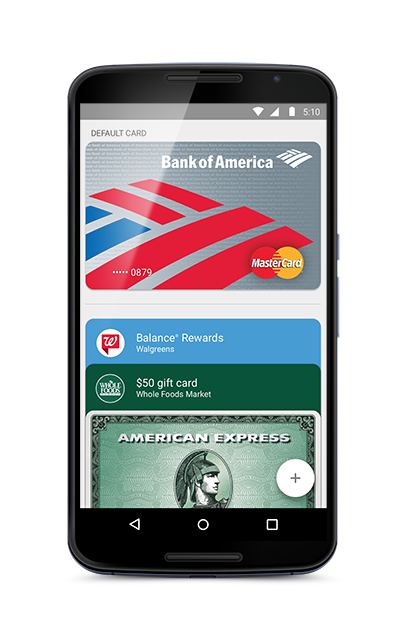 Unlike with Google’s earlier mobile payments effort with Google Wallet – which mobile carriers fought against due to their interest in their own payment solution Softcard (previously called Isis, and rebranded for obvious reasons) – this time around, Google made an effort to partner with mobile operators on Android Pay. Google, as you may recall, actually ended up acquiring Softcard’s technology earlier this year. In what was a sizable win for the company, the joint venture between Verizon, AT&T and T-Mobile agreed to shut down their Softcard mobile payments app on March 31, 2015, and instead offered to load the Google Wallet app on Android smartphones. In May, Google announced the forthcoming arrival of its new payments platform, Android Pay, which will effectively pick up where Google Wallet left off, in becoming a mobile payments solution that allows consumers to tap and pay using their smartphones at local stores, while also allowing for digital payments. At its I/O event, Google said that it negotiated with Verizon, AT&T and T-Mobile to pre-install Android Pay on Android 4.4 “KitKat” smartphones, or later, with NFC built in. The system also ships on devices running the new Android “Marshmallow” operating system, where users can authorize their payments via native fingerprint support. (Fingerprint scanning isn’t required, though. You can also use a PIN, password or pattern to unlock your phone). Consumers using Android Pay, as with Apple Pay, don’t have to open an app to make a payment at point-of-sale – they simply unlock their phones. And the platform supports loyalty points and offers at select merchants, Google also says. Similar to its competitors, Android Pay doesn’t send your credit or debit card number to a merchant, but uses a virtual account number as a security measure (aka “tokenization”). However, Android Pay’s implementation of this technology is different from Apple’s. Apple Pay generates tokens in a chip called the Secure Element, but Android Pay generates tokens in the cloud. That means Android Pay is more dependent on an Internet connection to work, but it does offer to store a limited number of tokens on the device for when you don’t have Internet access. Immediately after making the purchase, you’ll receive a payment confirmation with the merchant name and number. In addition, if your phone is lost or stolen, you can use Google’s Android Device Manager to lock the device remotely, secure it with a new password, or wipe your personal information from the phone. 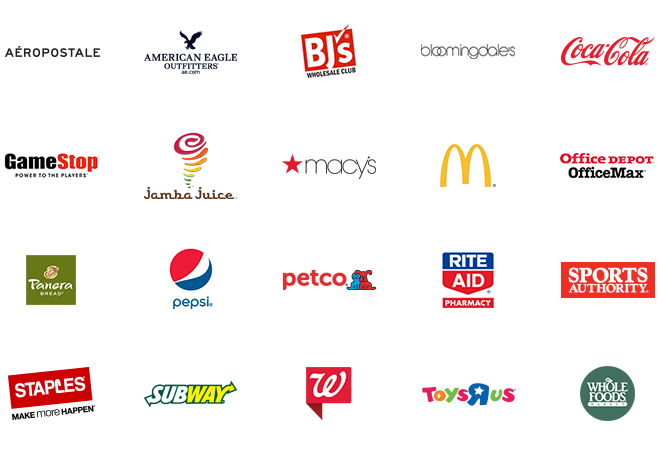 It also has the support of a number of big-name brands, including Aeropostale, American Eagle Outfitters, BJ’s, Best Buy, Bloomingdale’s, Coca-Cola, GameStop, Jamba Juice, JetBlue, Macy’s, McDonald’s, Office Depot/Office Max, Panera Bread, Pepsi, Petco, Rite Aid, Sports Authority, Staples, Subway, Toys R Us, Walgreens and Whole Foods. News of Android Pay’s arrival was inadvertently leaked by some of these retailers, who had already been putting stickers on their terminals, posting window decals, and sending out memos to employees. For example, a McDonald’s memo noted an August 26 launch date, and explained that the service procedures were the same as for Apple Pay. Meanwhile, a Subway FreshBuzz customer newsletter also mentioned that Android Pay was launching. The in-app functionality Android Pay offers isn’t yet live, Google tells us, but instead will roll out later this year. In apps, developers will be able to display a “Buy with Android Pay” button which lets consumers checkout with a tap. Early adopters for the technology in apps include B&H, Chipotle, Domino’s, Dunkin Donuts, Yelp’s Eat24, Etsy, Eventbrite, Groupon, GrubHub, Hotel Tonight, JackThreads, LivingSocial, Lyft, NewEgg, OpenTable, Priceline, Seamless, Spring, Uber, and Wish. Apple and Google aren’t the only companies working to enable mobile payments. Samsung, too, is also venturing out on its own with Samsung Pay (based on tech acquired from LoopPay), a similar service launching in Korea on August 20 and in the U.S. on September 28. That service, which also includes support for mag-stripe transactions, will later roll out to the U.K., Spain and China, the company said earlier.